Misting Up. Misting refers to the formation of water droplets between panes. It is a sure sign that the window unit was not properly installed, or it has lost it integrity due to age. It can also be caused by extreme weather conditions such as wind and heavy rain. Some cleaning products may also hasten deterioration of the window causing misting. What misting can do? 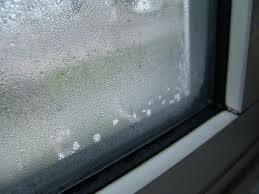 Misting causes an unpleasant layer of condensation to form in the double glazing unit. Among other benefits of UPVC windows is that it gives your house slick and modern look. Apart from ruining the aesthetic value of your house, misting obscures vision through the window. It can also hamper the ability of your window to act as an effective barrier against outside elements and weather. Solution. The simplest and most economical solution is to replace them. Fortunately, if the frames are intact, it is only glasses that will be replaced. Feeling draughts. This problem can be remedied quite easily, but most of thetime the double glazing are replaced. The common causes of draught is bent hinges, loose handles, rivet or screws. Single gazing windows has a U value of 5, the older double glazing windows 3, the modern double glazing has a U-value of 1.6, while the triple glazing windows have a u-value of 0.3. This makes it an excellent insulator. When using triple glazing windows, you can reduce energy loss by more than 45%. Triple glazing windows are also very durable- they are fire and weather resistant. They are tough, strong and resilient- impervious to impact damage and also resistant to scratches. Triple glazing windows are sound retardant- ideal for home, schools, hospitals, offices, buildings, and any other relevant places where people need silence. You can save cost by having you windows replaced by a reputable company. Windows are big investment, and there is no reason you should not let a reputable company that will successfully complete the project professionally and on time. Double Glazing – Is It Time to Replace Your Windows. Give us a call at The Advanced Group today on FREEPHONE 0500 338 488 to find out more and to get a FREE consultation with a helpful member of our team. Or Simply complete the enquiry form on this page.